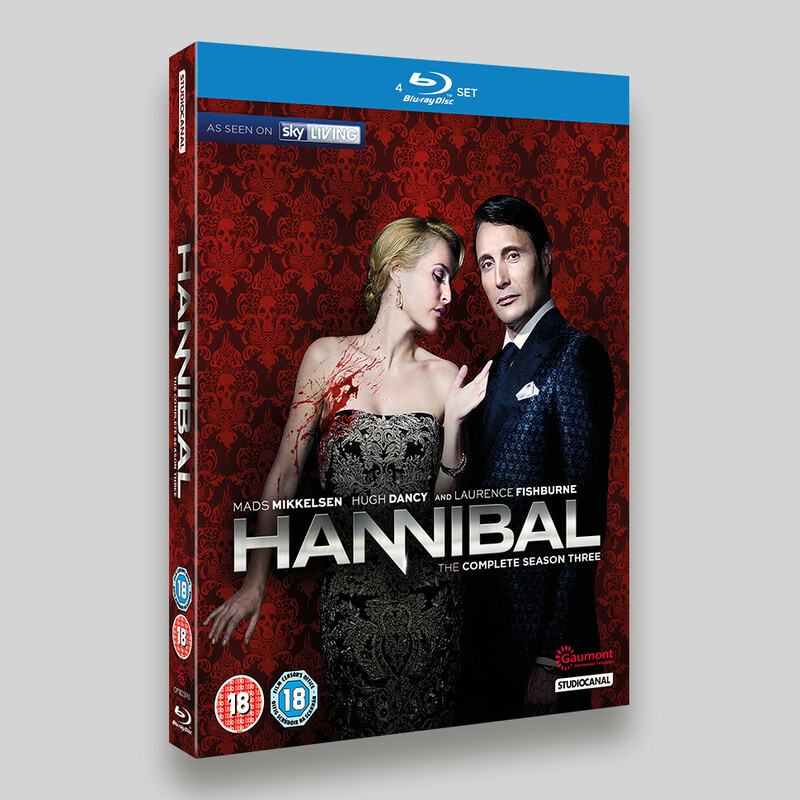 I’d worked on Seasons 1 and 2, so it was just a matter of time before Hannibal Season 3 came out of the shadows. I’d been keeping an eye out on the artwork that was being teased when the series was screened and it was a bit of a different mood to the first and second series (Hannibal in leathers with a bike helmet). However, in the end the final choice of shot was much more in keeping with the first two seasons, despite being a little more bloody (personally I’m not sure it needed it). 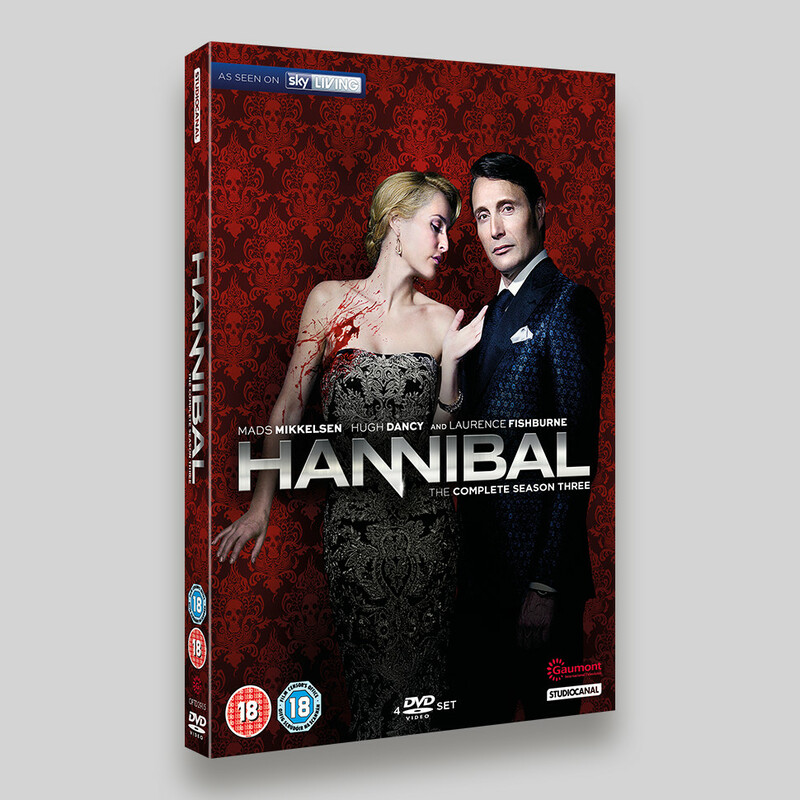 The Hannibal series are printed with a slipcase rather than an O-ring, which is a lot more involved to work on, Mainly because the artwork is set up as such that the back or front is upside down (or both on their side? ), so purely from an artwork level it’s a bit more involved (InDesign can rotate the spreads thankfully). Featuring Mads Mikkelsen, Gillian Anderson, Hugh Dancy, Laurence Fishburne and Caroline Dhavernas, sadly Season Three looks set to be the last.